Purdue coach Jeff Brohm told athletic director Mike Bobinski on Wednesday that he intends to keep his job with the Boilermakers. 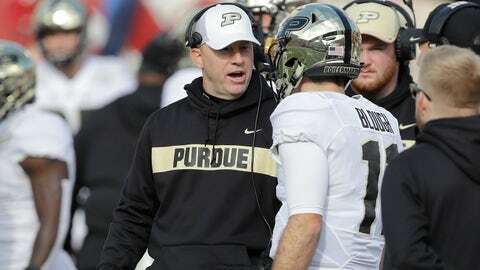 One day after reportedly meeting with Louisville officials in central Indiana, Brohm informed Boilermakers athletic director Mike Bobinski he was turning down the Louisville job so he could stay in West Lafayette. It’s taken him only two seasons to turn the Boilermakers from a floundering program into one on the rise, going 13-12 with back-to-back bowl bids for the first time since 2011-12. What the Boilermakers now know is Brohm will be leading them onto the field.